DENALI PARK, Alaska — The beauty of Denali National Park and Preserve is unparalleled. The snow-topped mountains span as far as the eye can see. The lush greenery is home to hundreds of different species of animals. The park offers multiple ways for travelers young and old to see just some of its six million acres. Whether you choose to travel by foot, bus or even ATV, your Denali park experience will surely be one you’ll never forget. 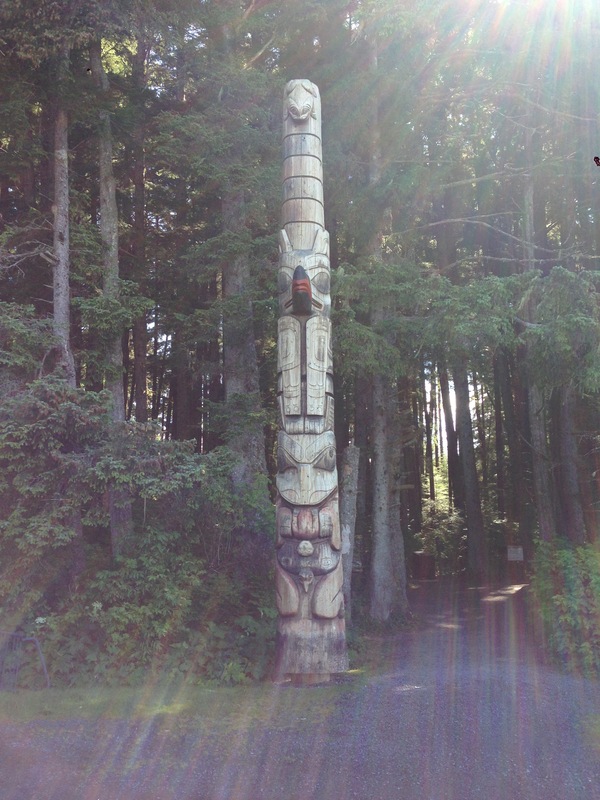 A view of an old totem pole on a trail hike in Denali National Park and Preserve (Photos by Emily Eidelman). Denali can easily be explored on your own two feet. Park and preserve officials say the most popular trail is the Horseshoe Lake Trail. 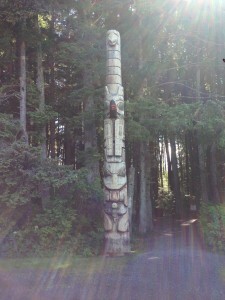 It is near the main entrance of the park, making it easily accessible. The three-mile hike takes around an hour and a half to complete. If you prefer to hike off a trail, Denali makes it easy with its uncharted territories. Visitors are free to hike where they please. All you need to do is take a park shuttle to your desired location and flag it down on the road once you’re finished. Hiking trails may be too exhausting for families with young travelers. If this applies to you, taking a bus is a great option. There is only one road that crosses through Denali and it is 92 miles long. Since private vehicles can not pass mile 15, the bus is the best way to see the park in its entirety. The animal lover in you will also love the bus, because although it is not guaranteed, you will almost definitely spot multiple species of wildlife. According to park bus driver Alex Brown, it is common to see over five types of animals on each ride. Denali ATV Adventures shows travelers a new and exciting way to explore Denali National Park and Preserve. For the family who’s looking for a bit more of an adventure than a bus ride, there’s one more vehicle that makes its way through the park day and night: an ATV. 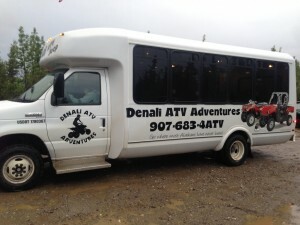 Denali ATV Adventures provides travelers with the most exhilarating rides through the park. They offer four different rides within the park, each different lengths and routes. Travelers can also choose between a one-person, two-person and four-person ATV, Zach Morris, a guide, located in Denali Park, explained. You can explore Denali at any speed, from 2 to 40 m.p.h. Each option guarantees you a personal connection with the park. Wear sneakers or hiking shoes – no matter which way you choose to see the park, you will be doing a lot of walking. Make sure to wear comfortable shoes that will hold up against gravel and mud. Book your bus tour – the bus tours are run through National Park Service. The tour lasts approximately five hours, so plan your day around it. All children under 15 are free. Adult tickets range from $26.50-34.00 depending on the specific tour. To reserve tickets, call 800-622-7275. Book your ATV tour – Denali ATV Adventures is open from May 18 to Sept. 11 each summer. They offer multiple tours daily and nightly, so you will be able to book at your hotel in Alaska. If you’d prefer to book in advance, you can email info@denaliatv.com or call 907-683-4ATV.